Do you love traveling but feel that your earnings are never enough to cover the cost? Do you always feel worried about the continuous price hikes on commodities? Are you one of those who complain about the high tax rate charged on the items and services you need? It wouldn’t be surprising if you answered “yes” in any of these questions. Because among our neighboring countries, we, Filipinos, are the highest-paying taxpayers. 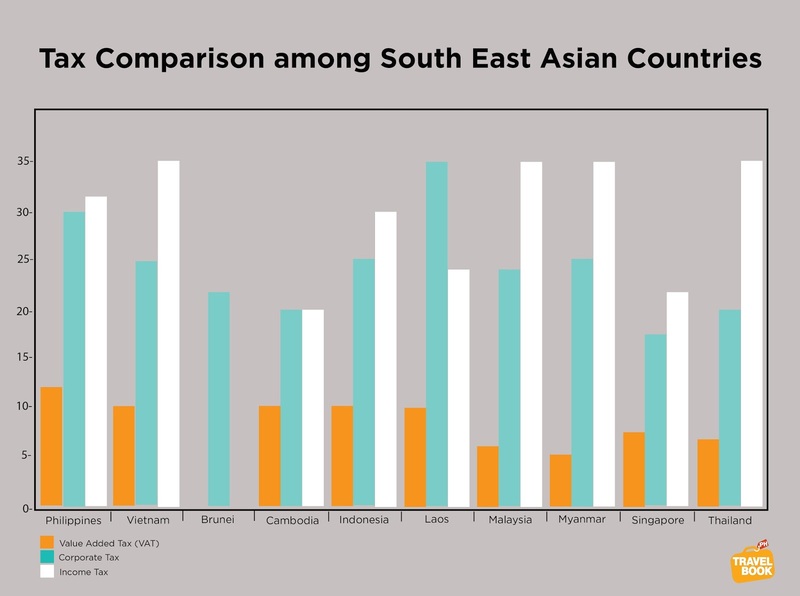 While well-performing ASEAN countries like Singapore and Malaysia are able to tone down Value Added Tax (VAT) charges at the minimum, the Philippines remains as the South East Asian country with the highest VAT of 12% in the ASEAN. Apart from this, the Philippines also ranks second in corporate income tax and personal income tax. Now that almost all purchases made are topped with tax, many Filipinos are struggling so hard to earn enough just to cover all their expenses. With that, Travelbook.ph, the leading online travel agent (OTA) in the country, wants to ease such burden. 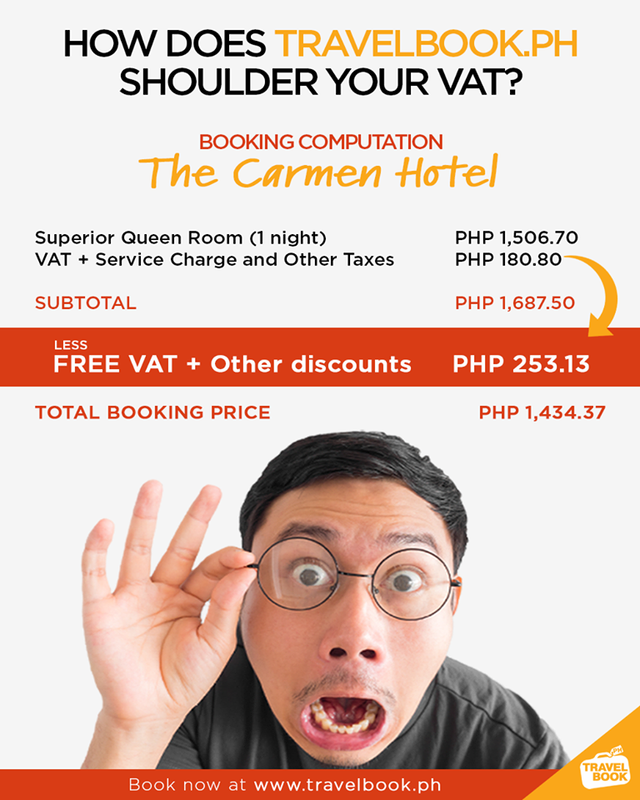 Just this July, Travelbook.ph launched its Free VAT Campaign wherein they shoulder the 12% VAT on all hotel bookings made by their customers. “Every Filipino deserves the best experience when they travel. And at Travelbook.ph, we believe that it should start at the very moment that they do their actual bookings,” says Mr. Takumi Nakazawa, General Manager of the leading OTA. All the customers have to do is to sign up at www.travelbook.ph and choose among the 3,300 affiliated hotels of Travelbook.ph for their trip. 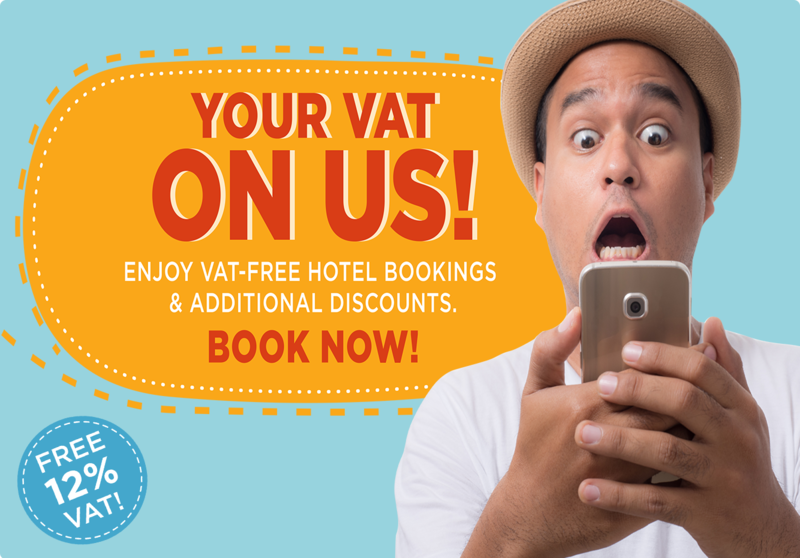 Travelers, then, will see that the VAT on their hotel bookings has been deducted from the total cost of their transaction. What’s more interesting is that on top of the deducted VAT, additional discounts may still be applied. 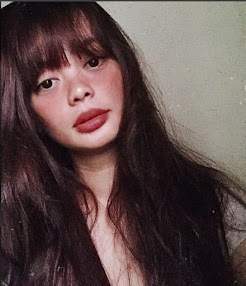 With all the stress and problems in life that Filipinos normally encounter, Travelbook.ph would like to give them more opportunities to travel so they can unwind and explore. “What we want to do is more of a public service instead of business. We have a heart for the customers and we do necessary actions to express that we care. That is how Free VAT campaign is born,” Mr. Nakazawa adds. With this latest offer from Travelbook.ph, everyone can now get hassle-free and pocket-friendly trips! So book now at www.travelbook.ph to start the best travel experience you can ever have!